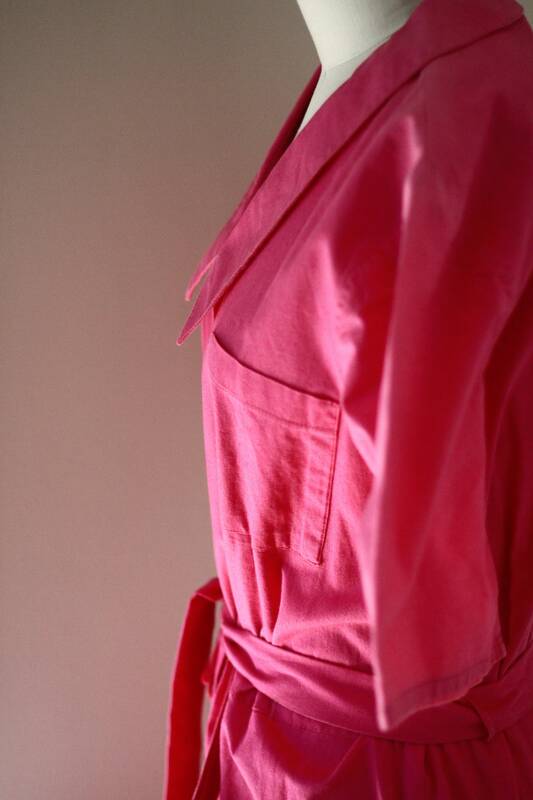 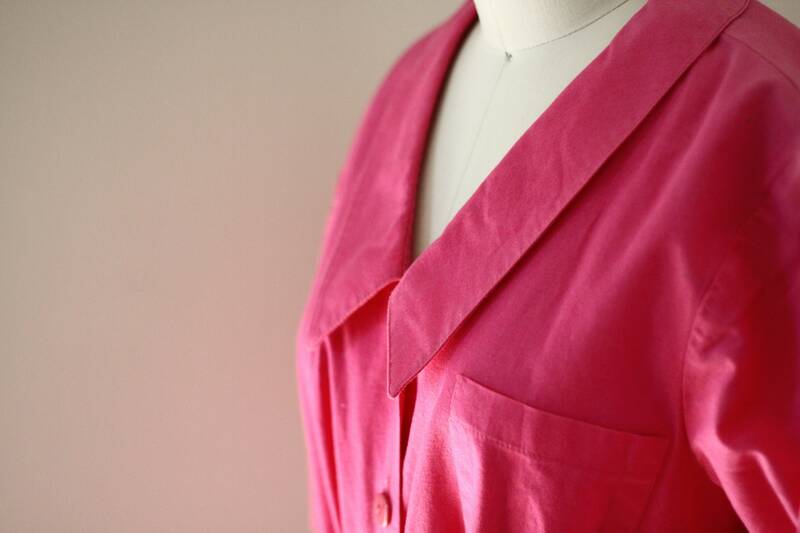 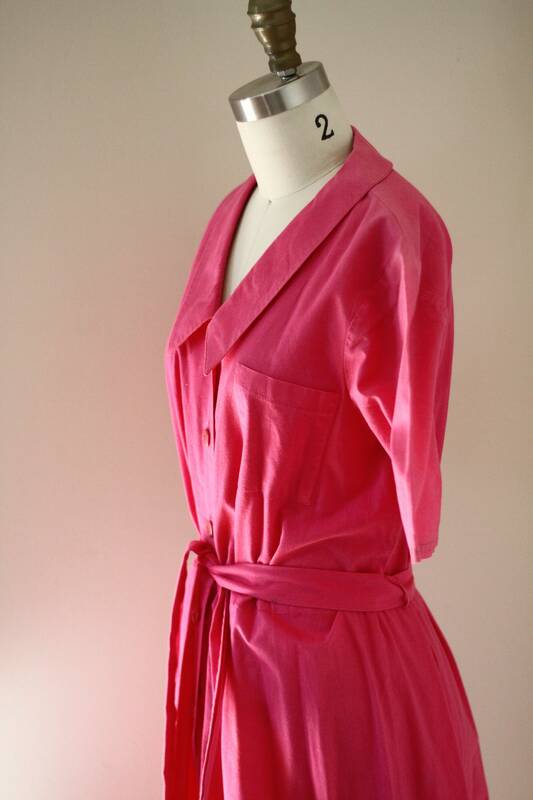 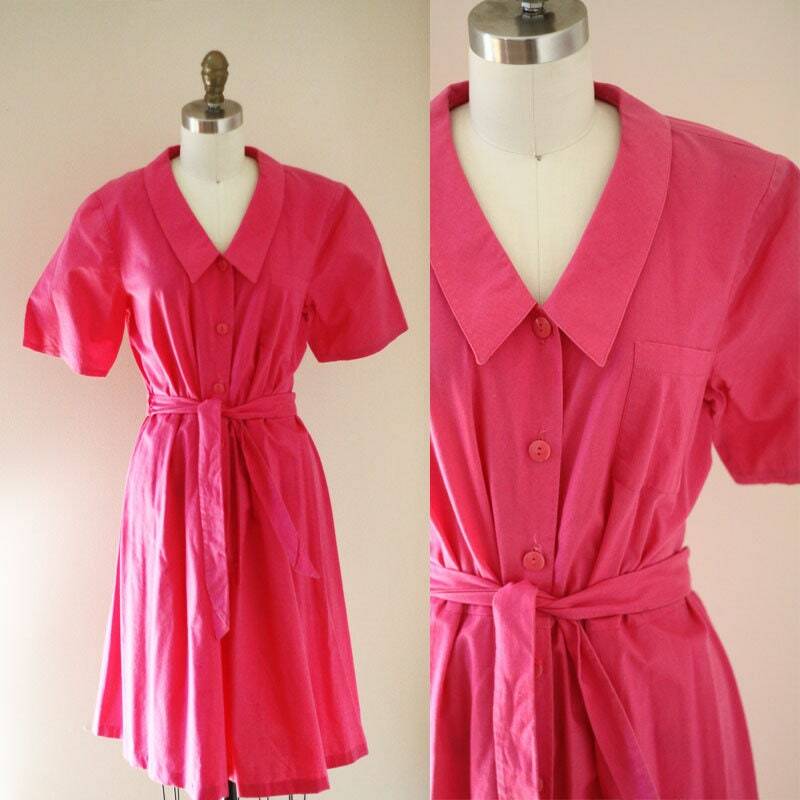 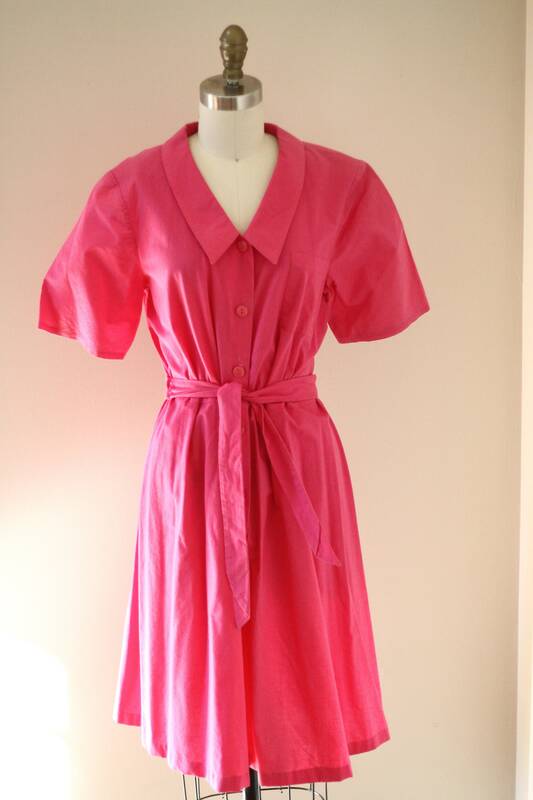 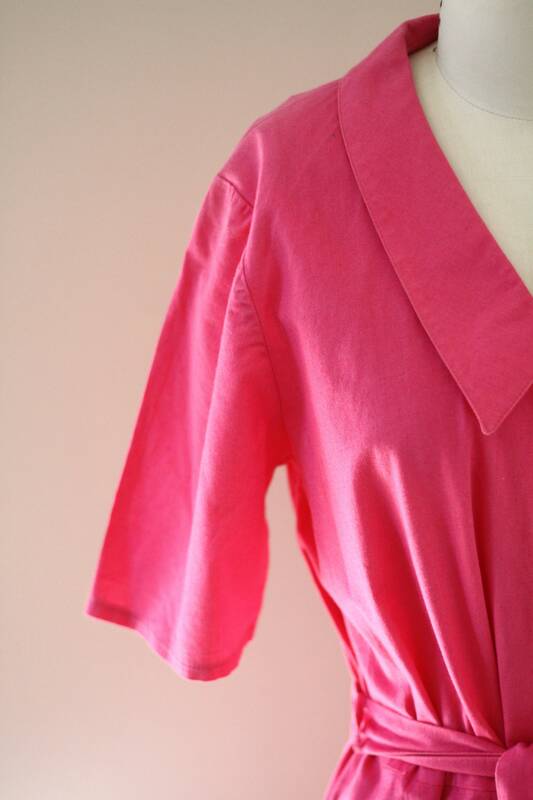 1970s bright pink cotton shirt dress. 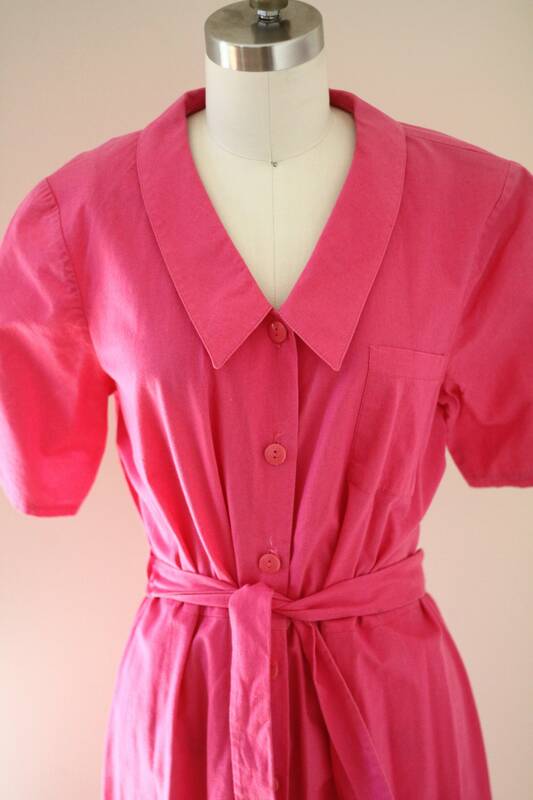 Button closures running up the front of the dress with a super sweet collar and a matching fabric belt for closure around the waistline. 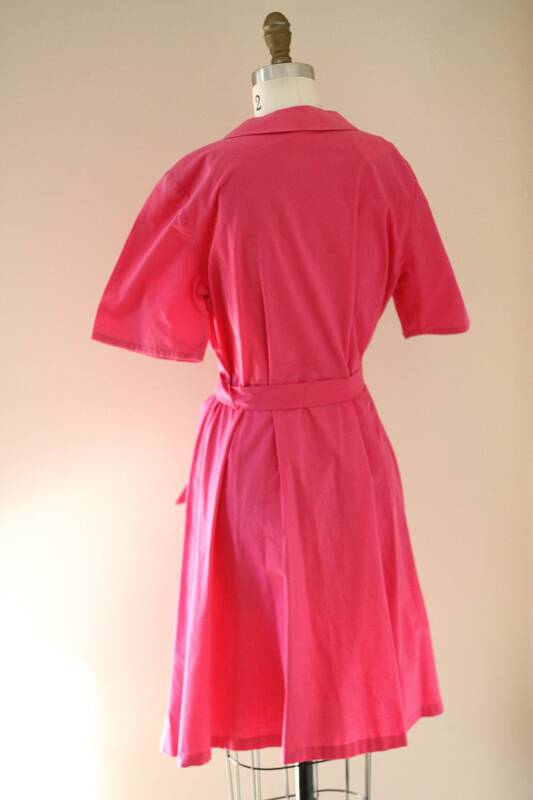 Pockets on the front of the dress.